Do you like Frog Drink Water 2? Share it with your friends. 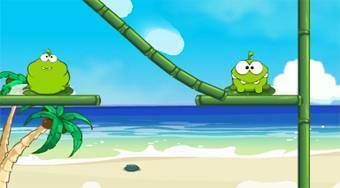 Frog Drink Water 2 - draw the path with bamboo stalks in the way that the coconut water reach the pair of frogs and quench their thirst.